I haven’t posted for awhile. I’ve still been cooking and baking up a storm. I just haven’t taken the time to write about it. At work, we do an auction every year where the proceeds go to a charitable organization Open Your Heart to the Hungry and Homeless. One of the things my unit offers to be auctioned off is two dozen cookies, once a month, for a year. Everyone is my unit takes turns making the monthly cookies. This month was my turn again. 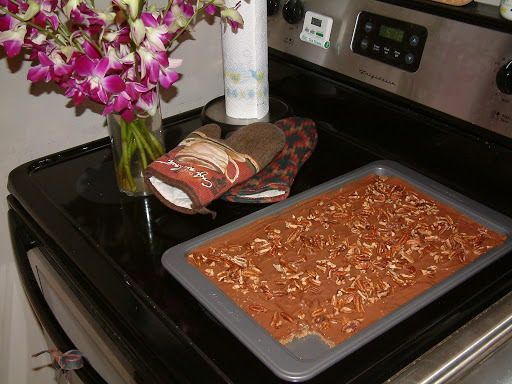 Instead of cookies, though, I made bars from this recipe I got from the Pioneer Woman Cooks. Have I mentioned I love her? 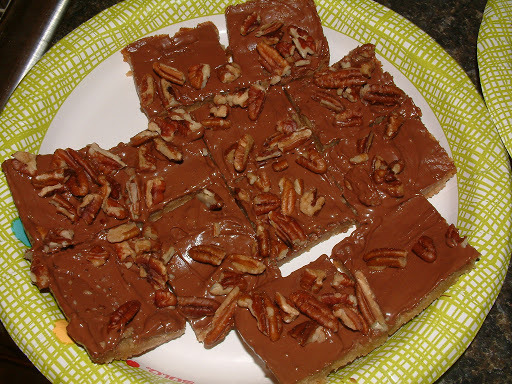 The recipe was called Cleta Bailey’s Toffee Squares. 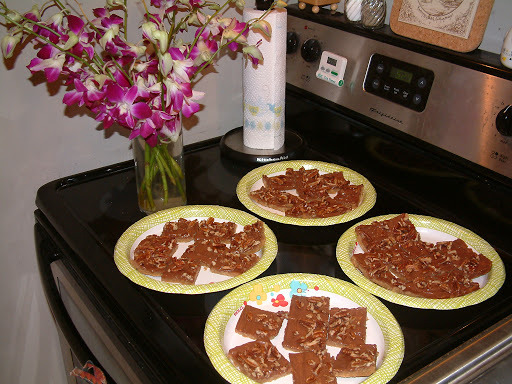 I guess I must have cut my bars small, because the recipe made more than the two dozen I needed for my auction obligation, so I shared the extras with my co-workers. They were a big hit. One thing I will say is that personally I’m not a huge fan of pecans. I only like them in certain items, such as in delectably delicious southern pralines. Actually, until recently, I didn’t think I even liked pralines, but I traveled with my cousins to Savannah, Georgia, and, well, when in Rome. I decided to give the praline a try. Oh my. It was delicious! The ones I tried were from Savannah’s Candy Kitchen. No, they are not paying me to advertise their confections. Their pralines are just that good. But all that aside, I’m still not a huge fan of pecans, for the most part. 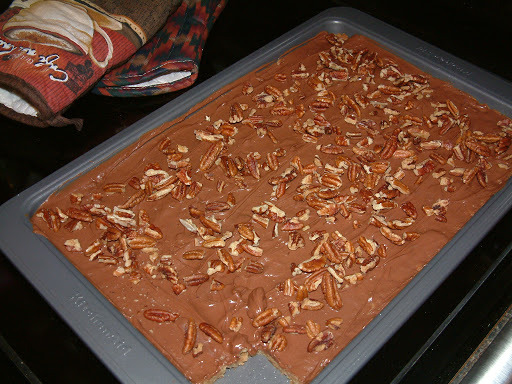 However, I decided to stay true to the recipe and use pecans. That said, I think the recipes would be just as delicious with peanuts. I’ll let you know when I try it! 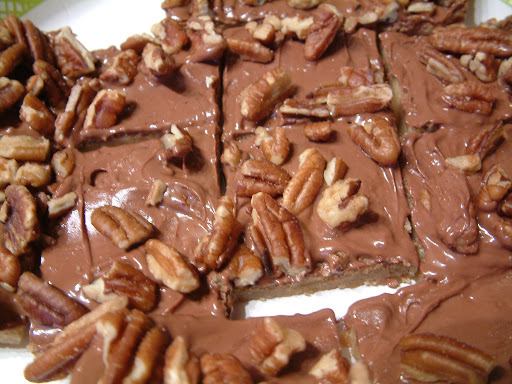 This entry was posted in bars, chocolate, dessert, pecans, toffee squares. Bookmark the permalink.